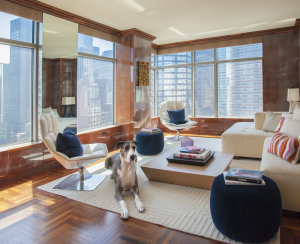 There are over 1.1 million pets living in New York City and (what feels like) as many products on the market advertised to keep your four-legged friends entertained, stylish, safe and everything in between, as they live and play in their urban environments...and likely in rather small spaces. 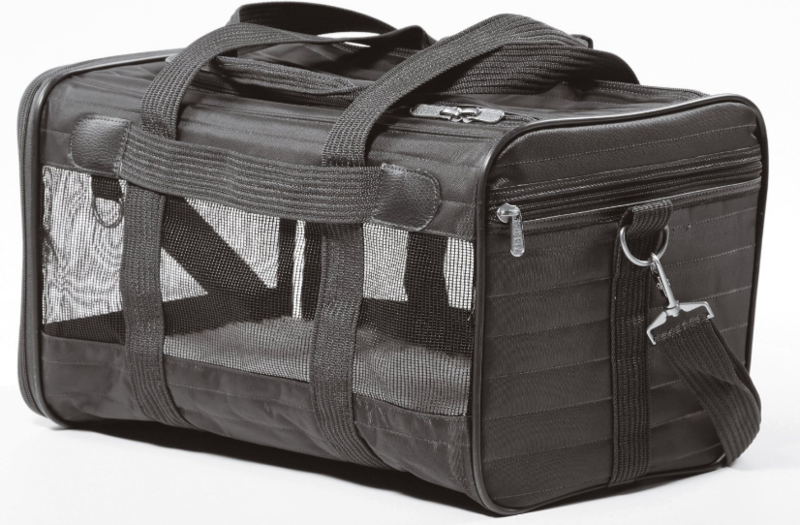 As a lifelong New York City dweller who grew up with dogs and now has many friends with animals of their own, I enlisted some help from my pals with pooches (and even some with cats) in coming up with this list of 13 must-have products for NYC pet parents. Forget the basics like wee wee pads, collars and crates, because this list is taking things to the next level. Check it out below. Your furry friends will thank you! 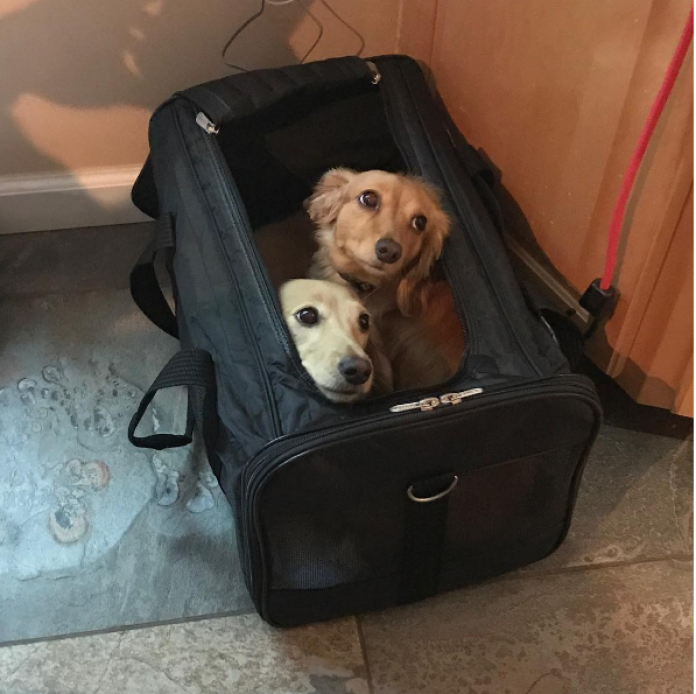 My best friend Sara, who is a doting mom to two of the sweetest, most gorgeous dachshunds in existence (see photo below) swears by the Sherpa Pet Carrier. “It has an adjustable arm strap that’s really great, and It comes in different sizes for different breeds,” she explains. Prices generally range from $30-$60 based on size, and the fact that the Sherpa resembles “an overnight bag” is a plus for Sara and many chic New Yorkers. It also means the carrier is relatively inconspicuous and won’t attract attention if you decide to pop into Starbucks or pick up a few things at the supermarket with your pup in tow. Sara is also particularly fond of the Sherpa’s removable faux lambskin liner, which makes cleaning up after Fido’s inevitable accidents super easy. Pro tip: The small Sherpa is also great for transporting cats. Alabama and Charlie Bronson in their Sherpa. Evan, who currently lives on the Upper West Side with his wife and five-year-old Rhodesian Ridgeback, is a big fan of Earth Rated’s PoopBags ($19.99 for 600). 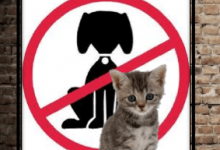 As any pet owner will tell you, picking up poop is no fun, but it’s expected (though unfortunately not always carried out) among city dwellers. Thankfully, Earth Rated has figured out a way to make it slightly less tedious and, well, gross. According to Evan, the bags are “really durable, made from recycled materials” and lavender-scented, which can be a godsend for the squeamish among us. Like many poop bags Earth Rated’s also fit into a leash dispenser, but beware of mixups. “One time the dog walker switched my dog’s leash with another dog’s, and the flimsy unscented poop bags I had to use before I got the correct leash back were a nightmare,” Evan says. Vimtag’s camera ($80-$110) isn’t exclusively for pets (it can also be used to watch over children or just keep an eye on your home) but more than one pet owner I talked to raved about it. 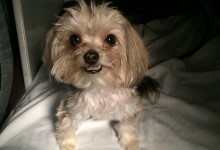 “I like it because I can watch my dog while I’m at work and monitor his barking,” says my former co-worker Alyse, who is mom to the world’s most adorable five-year-old Morkie (pictured below). 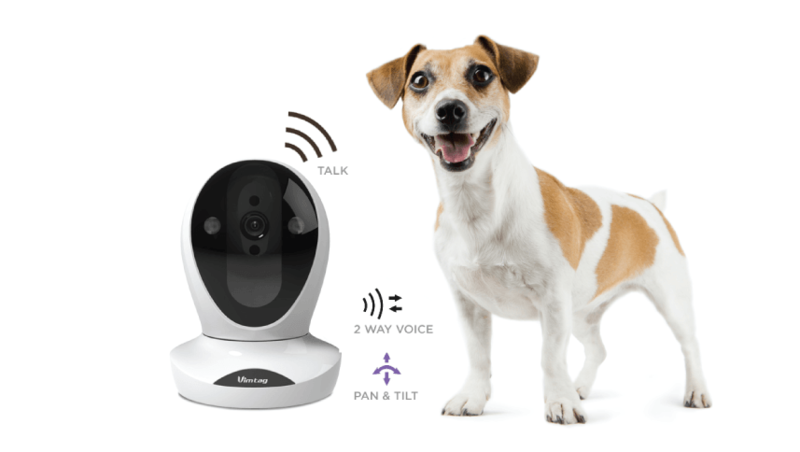 “You can speak to your dog thanks to the camera’s two-way voice capability and move the camera to wherever you want through an app on your phone." Alyse says Marshall hears her voice and sometimes even gets scared because it's so loud and echo-y. "Like the voice of God," she says. Pro-tip: The Vimtag camera is more than just a tool for paranoid pet owners. My friend Phoebe purchased a one after her downstairs neighbors complained repeatedly about her Maltese’s incessant barking. It only took her one day to discover her precious pooch was more prone to sleeping for hours on end than causing a racket. The culprit, as it turned out, was a dog who lived down the hall. Her finger-pointing neighbors were a tad embarrassed, but apologetic. Literally everyone I spoke to praised Nature’s Miracle — a line of popular stain and odor removers. I’m not sure what’s in this stuff, but it managed to clean up every mess my dog ever made. I have used it on carpeting, hardwood floors and expensive rugs throughout my NYC apartment, and I never had an issue with it damaging a surface. What’s more? 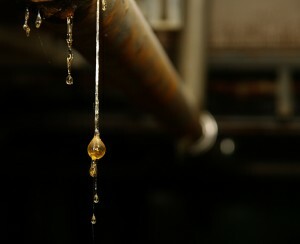 The stain was always gone in a matter of hours, if not minutes. 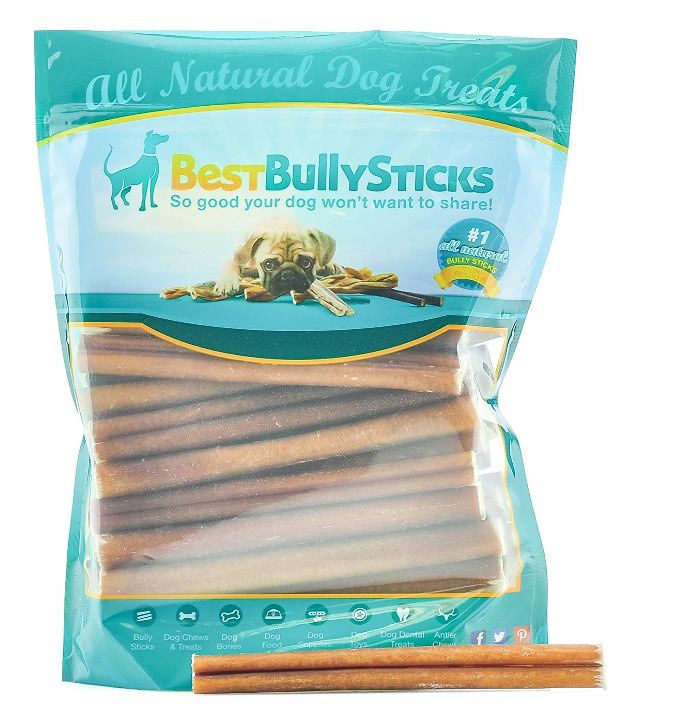 Though Wendy says these chewy treats “smell like a cesspool” her dog can’t get enough of them. “It’s like she tunes out everything and just pays attention to this,” Wendy adds. My friend Lisa, whose Labrador Retriever runs in the closet and hyperventilates during thunderstorms, says the ThunderShirt, a dog anxiety vest, has helped her pup relax. Alyse’s dog has a tendency to get a bit anxious when he hears too much noise outside her apartment (a common occurrence in NYC) so she’s given the ThunderShirt a try as well, “My dog does calm down when he wears it, but I’m a little wary of leaving it on for long periods of time, like when I go to work,” she says. Pro tip: If your pet can handle thunder and fireworks but isn’t a fan of the heat, try a cooling vest. Like a ThunderShirt it wraps around the dog’s torso, but unlike a ThunderShirt it provides instant relief in the summer heat. It’s great for long walks. 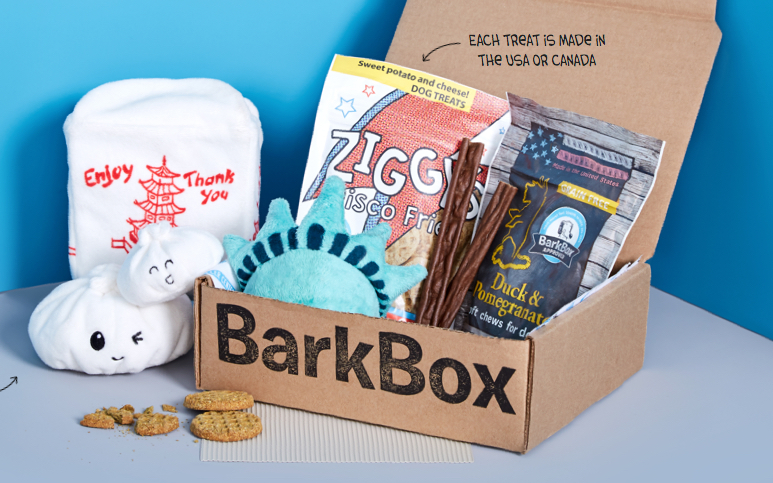 Pro tip: At just $21 for a month’s worth of toys, treats and other goodies, BarkBox is a pretty good deal and great for busy pet parents who don’t have time for frequent trips to Petco. It also makes a great gift for first-time pet owners or people who frequently foster dogs. This lightweight silicone bowl collapses to less than 0.5 inches thick, making it the ideal accessory to bring if you and your pet plan to enjoy a day at the park, or really any extended period of time away from home. It’s perfect for holding food or water, and this particular model comes with a carabiner (for $8) so it can be easily attached to a backpack, leash, stroller or purse. 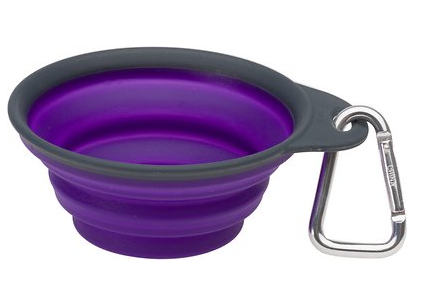 As Wendy tells me, this “is dishwasher safe and rests on the ground more easily than other portable bowls” making it difficult for Fido to knock over. Booties are a must-have when dealing with the snow, slush and painful salt that can live on New York City sidewalks for weeks at a time during the winter months. 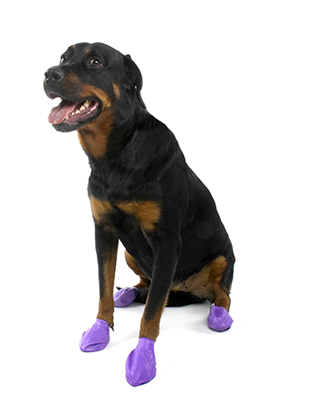 “PawZ are great because they’re disposable, but also reusable and waterproof, and my dog doesn’t have time to freak out when I’m putting them on him because they slip right over his paws without zippers or snaps. They’re great for inclement weather,” my neighbor Glen says. They're about $13 a pair. “This is great for small dogs because you don’t pull the dog by his or her neck,” Sara says. 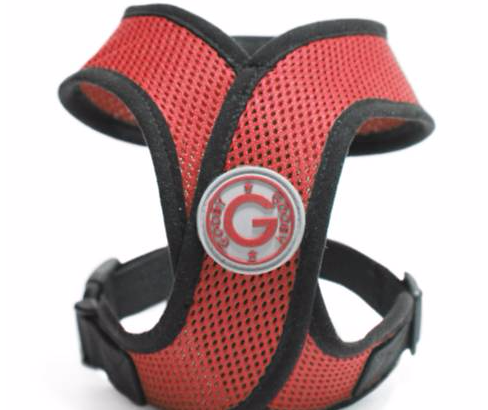 “The harness is concentrated on the chest and it’s very gentle. 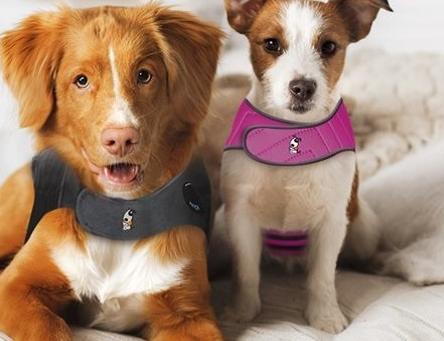 It also protects against choking and helps prevent injuries.” If your dog has a tendency to get a little too friendly during walks, the Gooby is a great way to remain in control without causing harm." Wendy has a slightly different go-to harness. Instead of the Gooby, she uses a Blueberry Pet 3M Reflective Multi-Colored Stripe Padded Dog Harness. “The reflective material glows in the dark, making this good for night walks around the neighborhood,” she says. The Gooby is around $13, the Blueberry, $25. 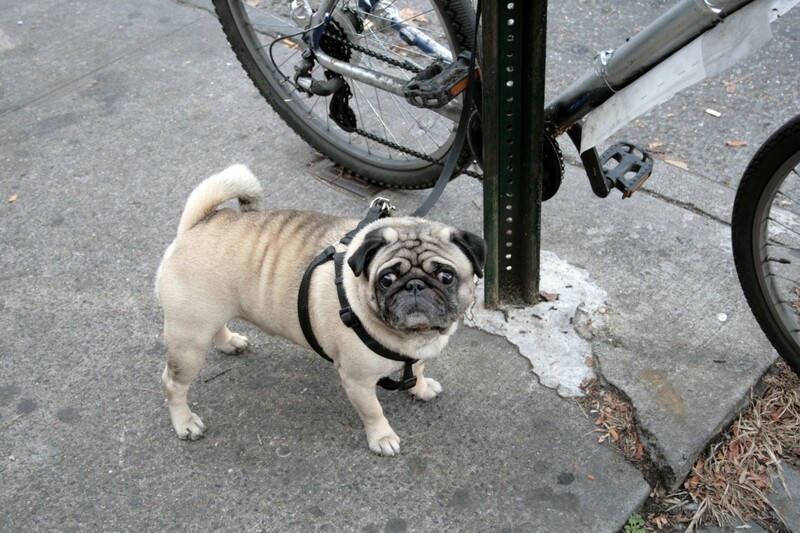 As we all know, NYC is full of dirt and grime at every turn, so wipes are a must for city dogs and cats. 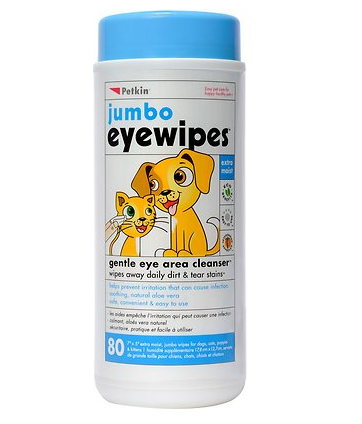 “I use Petkin Jumbo Dog & Cat Eye Wipes,” Alyse says. “I like to wash my dog’s face after a walk because he sniffs everything, and I also use them after he eats because he’s always getting food in his fur.” They're around $13 for 80 wipes. 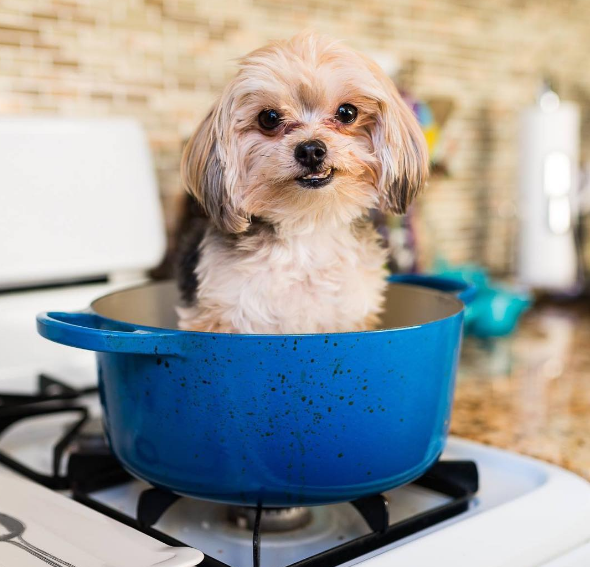 Pets can be messy, and chances are there’s at least one room in your apartment that’s a no-Fido zone. 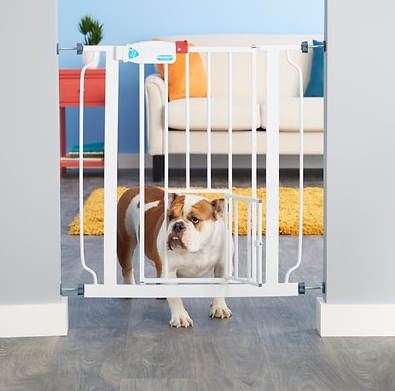 The Carlson Walk-Thru Gate with Pet Door (around $40) is a good way to keep pets in or out of a certain space, and its versatility is perfect for NYC apartment living. If you have small and large pets, the pet door allows small animals to pass through while the bigger ones stay put. Another upside: It's pressure mounted, so no need to screw it into the wall. “The gate expands so you can adjust the width, and it’s tall enough so the dog can’t jump over the top,” Alyse says. 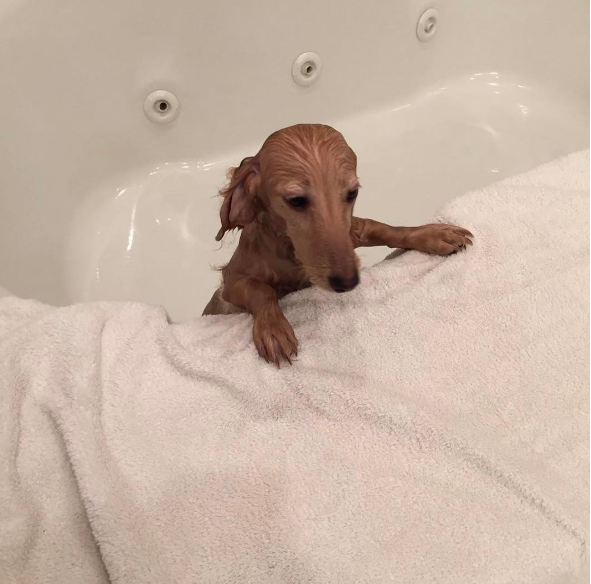 Some pets love water and others can’t stand it. If your furry friend falls in the latter group this two-in-one shampoo and conditioner combo is very similar to the one I used for my dog after a day spent rolling around in the dirt. As Alyse tells me, “two in one is good because my dog hates the bath.” The fact that your pet comes out smelling like a tropical island (and not a congested city) is just an added bonus. Charlie Bronson in the bath.